Mediocre mid-range and top end takes some of the luster off the Bravo’s superb bass performance. Crowdfunding has been both awesome and disruptive. Neil Young’s Pono hi-res music player ranks among the most successful Kickstarter campaigns of all time. 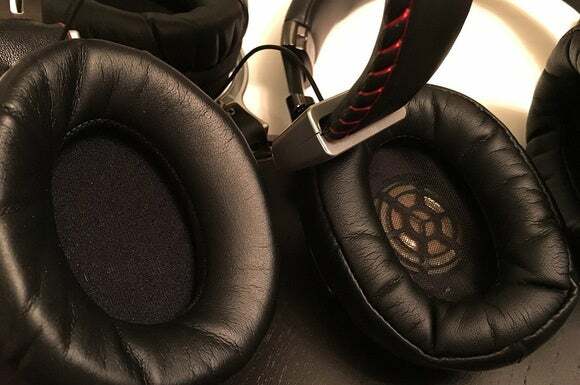 There are lots of successfully funded audio projects out there—including Sharkk's Bravo hybrid electrostatic headphones, which have raised more than 200 percent of its funding goal with just a few days left in its campaign. The company sent a prototype for us to evaluate. Since the final product isn't expected to ship until sometime in October, consider this a hands-on preview. One of the main marketing points of the Bravo is its hybrid electrostatic technology. In a hybrid design (like MartinLogan’s electrostatic tower speakers) the lower frequency range is handled by a traditional dynamic driver and the mid-range and upper frequencies are produced by electrostatic drivers. Typical electrostatic drivers are made of a thin diaphragm that’s electrically charged. The diaphragm is normally suspended between two perforated plates, and an electrical signal is then passed through the plates to move the diaphragm in a push-pull manner towards one of them. This driver technology requires more power than a conventional driver, so most electrostatic headphones have been relatively expensive, and some have required a dedicated headphone amplifier to drive them. The Bravo's early-bird price of $199, its lightweight design, and the fact that it can be driven with just a smartphone are three of its biggest selling points. 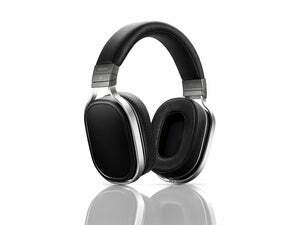 The Bravo headphones weigh in at a relatively light 10.3 ounces and claim frequency response of 6Hz to 45,000 KHz with an impedance of 32 Ohms. My real-world testing confirmed that these headphones can be driven with incredible ease. Forget about what you might have heard about electrostatic headphones requiring a dedicated headphone amp. 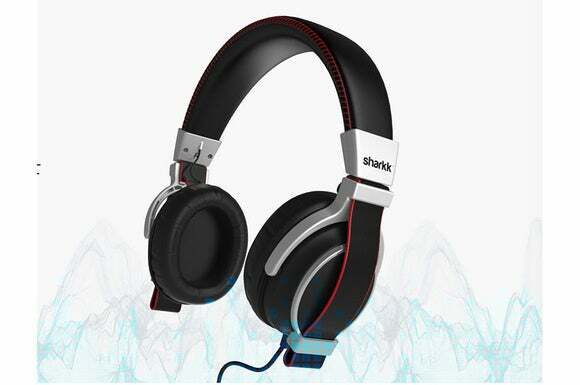 Sharkk says its Bravo headphones require just 0.1 volts of electricity to drive the electrostatic effect. Indeed, I was able to power the Bravo headphones with ease using just a mobile phone or a laptop computer. The Bravo’s build quality is on par with what I’ve seen from comparably priced competitors: The exposed parts of the headphone are mostly plastic, the ear cups are held into place with plastic arms, and the ear cup backs appear to be plastic as well. The difference between the Bravo and the competition is that some competitors do a better job of making the plastic look like a premium metal. 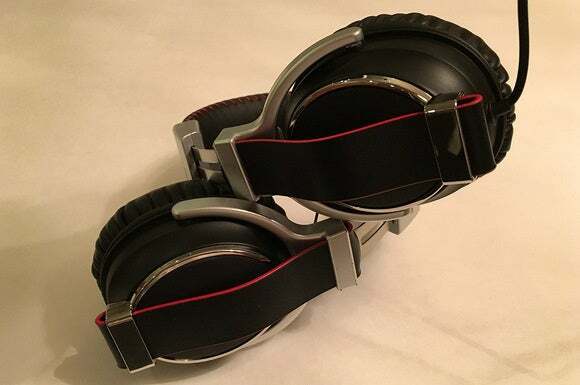 For example, while Sony’s MDR-1A is similarly built, the Sony’s plastic housings, finish, and attention to detail make that headphone's trim look like metal. To put it another way, the Bravo doesn’t hide its wrinkles well. The Bravo’s looks will be a matter of personal style and preference. The headband makes a statement with its pronounced red stitching contrasted with the black imitation leather. 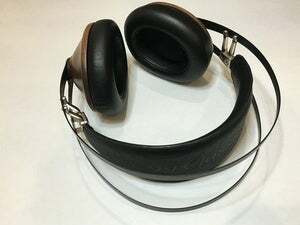 Ear cups are made of leather and are given a somewhat generous cushion. Thankfully, they are not anywhere near as shallow as the aforementioned Sony MDR-1As, where your ear has a tendency to touch the driver’s plastic cover. The Bravo’s headband has a bold look with its exposed red stitching. The Bravo’s noise isolation was very good, lowering the noise floor and helping me hear deeper into the music without trying to compensate for outside noise. 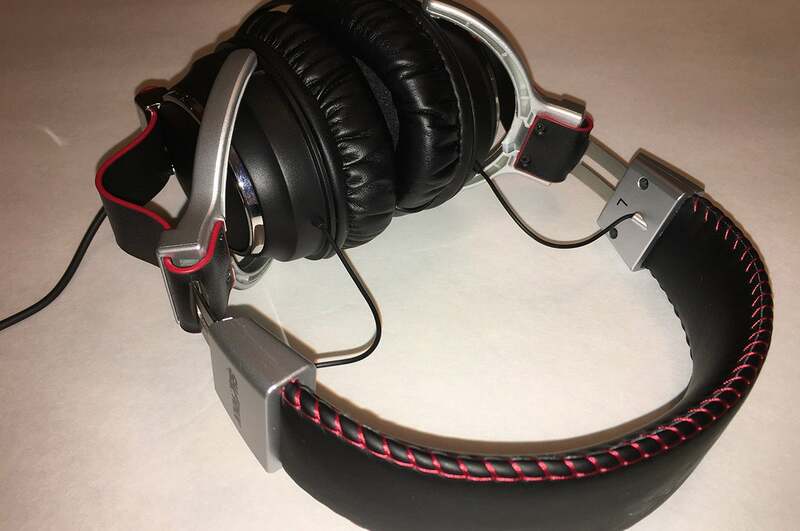 The headband is infinitely adjustable (a real plus), and micro-adjustments were always smooth and secure; the pressure exerted by the headband/ear cup design, however, was slightly uneven. When I wore them there was slightly more pressure exerted on the lower part of the ear cup than on the top. That uneven pressure became uncomfortable after a while. The Bravo felt somewhat similar to the Sony MDR-1A, but are far tighter—they are in some ways clamp-like. The difference in pressure made all the difference in comfort between the two models. 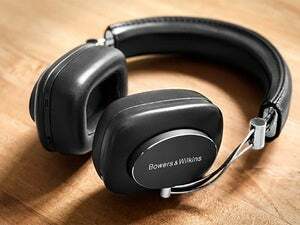 In contrast, the Bowers & Wilkins P7 and the Meze 99 Classics offered a far more comfortable fit. Even after bending the headband back to loosen it up a bit, I was never able to get a truly balanced fit and feel with them. It is quite possible that things will loosen up over time. I have had similar experiences with other headphones—such as the B&W P5—which were very tight when they first arrived but loosened up over time. As a result, I didn’t enjoy wearing the Bravo headphones for long listening sessions. The imitation leather styling on the ear cups will be a matter of personal preference. I used the Bravo headphones with an iPhone 6s and a MacBook Air without issue, but I did my critical listening on an $899 Astell&Kern AK100II digital audio player. 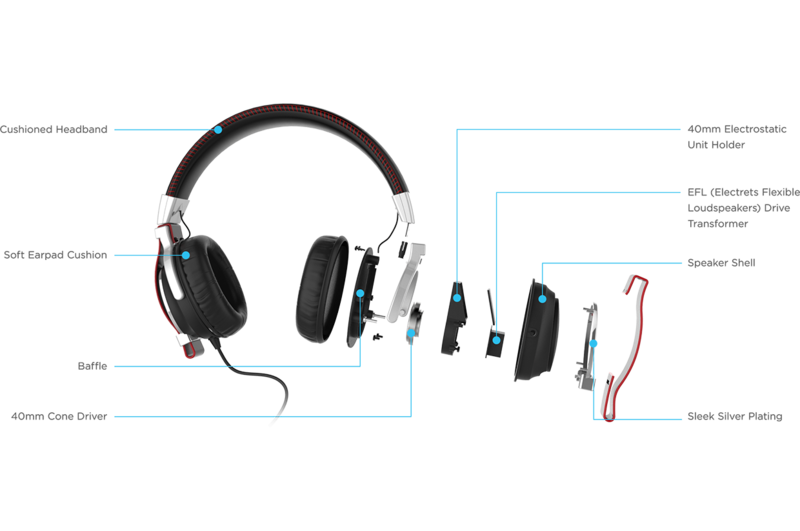 The real strength of the Sharkk Bravo headphones is their low-end reproduction: It flat out rocks. You’ll be hard-pressed to find headphones at this price point that will outpace them on that score. Track after track, I consistently found bass reproduction to be tight with good detail and punch. For example, the bass lines in the hi-res versions of Michael Jackson’s “Bad,” “The Way You Make Me Feel,” and “Speed Demon” were nimble and struck with beautiful precision. The kick drum on Alison Krauss's and Robert Plant’s “Please Read The Letter” exhibited that oh-so-right clarity and texture that I’ve experienced with more exotic and expensive headphones. Unlike many headphones in this price range, the bass didn’t fizzle, suffer excessive boom, or convey artificial emphasis. In that respect, the Bravo will easily compete with (and even surpass) some models costing significantly more. I tip my hat to the Sharkk team. In fact, the low end was so unexpectedly good that it raised my expectations—perhaps unrealistically so. Was this one of those rare products that outperformed competitors at two or even three times the price? Alas, no. 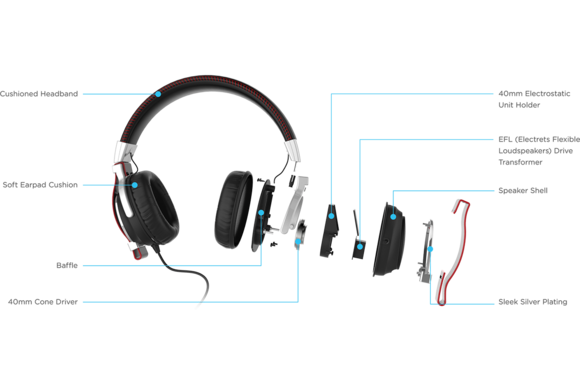 The Bravo’s cable (left) is not detachable like the Sony MDR-1A (right). Sharkk’s marketing materials claim that the Bravo has “pristine midtones and high tones.” There is also a statement that “audio quality that is typically priced upwards of $3000 is now available at ten percent of the cost.” Let’s just say I wouldn’t go packing up your $55,000 Sennheiser Orpheus or even your $699 Oppo PM-2 just yet. I found the Bravo's sound to be somewhat on par with headphones at its price point, not ten times its price point. Just to make sure I wasn’t missing something, I compared the Bravo to five other headphones: the $699 Oppo PM-2, the $399 B&W P7, the $309 Meze 99 Classics, the $299 Sony MDR-1A, and the $250 AKG N60 NC. I also fired up Revel’s $2000/pair Concerta F36 floor-standing loudspeakers (that I have in for another review). My impressions were confirmed each time. While the Bravos could legitimately claim to keep pace down low, the midrange was veiled and the top end had a tendency to be dull. The result? Music came across a constricted soundstage. Instruments had less air around them. Practically speaking, on tracks like the hi-res music version of Patricia Barber’s “Too Rich for My Blood”, I lost the intimate sense of the “space” the musicians were performing in. There’s an undeniable impact on individual instruments too. Snare drums on the hi-res version of Tom Petty’s “Here Comes My Girl” came across comparatively dull. The immediacy and snap of each strike just wasn’t there. The opening guitars of “Long Distance Runaround” from Yes’ album Fragile didn’t have that same clarity or airiness. All in all, it was like I was listening to these songs with a veil between me and the performances. I noticed this most on the Mad Max: Fury Road soundtrack with the “Chapter Doof” track. Some very good headphones that I’ve auditioned present this track with dynamics and bite. The track should come across with a sense of space with complex layers of different sounds easily distinguishable. The Bravo struggled a bit here and couldn’t master those elements on this and other tracks. While the Bravo nailed the low end, they only hit for par on everything else. The Bravo’s (left) noice isolation was good. Thankfully the Bravo’s ear cups had a much deeper ear cup padding than the Sony MDR-1A (right). Crowd-funded audio gear means you don't get a chance to try before you buy, you put your faith in what the manufacturer says it will to deliver. There will be some sure-fire hits and some blazing misses. If you are one of the hundreds of backers that put Sharkk’s Bravo headphones over the top, rest assured that your investment hasn’t been misplaced. Every pair of headphones in this price-range has trade-offs. And that’s OK. Whether or not these Bravo cans are right for you will depend on the acoustic attributes you value most. The Bravo hybrid electrostatic headphones are incredibly easy to drive (any smartphone will do) and they nail the low end. 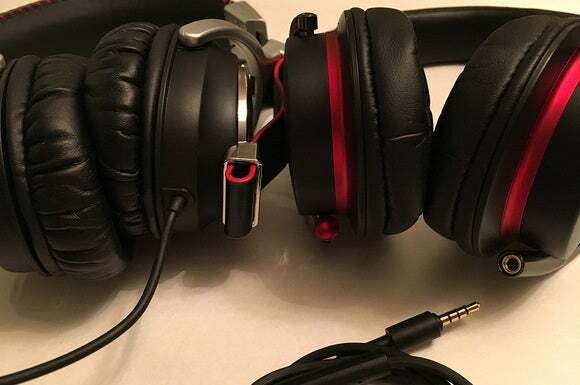 While the midrange, top-end, and attention to cosmetics do leave a bit to be desired, anyone in the market for a pair of cans priced less than $250 should give these a listen.